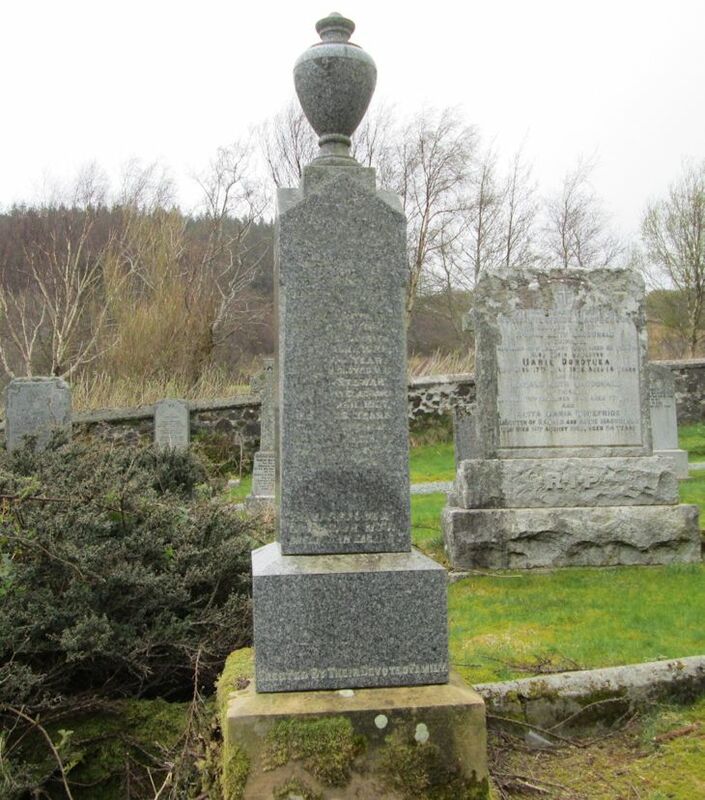 Skye Gravestones | Donald & Mary (Stewart) Macinnes, d. Jessie. Donald & Mary (Stewart) Macinnes, d. Jessie. Sacred/to the memory of/DONALD MACINNES/Clachamish/who was accidentally/drowned in Yorkhill Harbour, Glasgow/28th July 1922/aged 64 years/and his beloved wife/MARY STEWART/who died at Clachamish/12th April 1927/aged 66 years/their daughter/JESSIE MARY/died 11th Sept. 1947/aged 58 years. "Tha aigeal dea/dream dan eagal e."